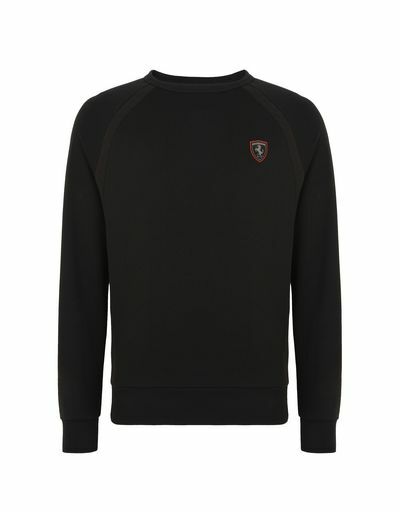 This men's cotton crewneck sweatshirt is embellished with contrasting knit detailing. 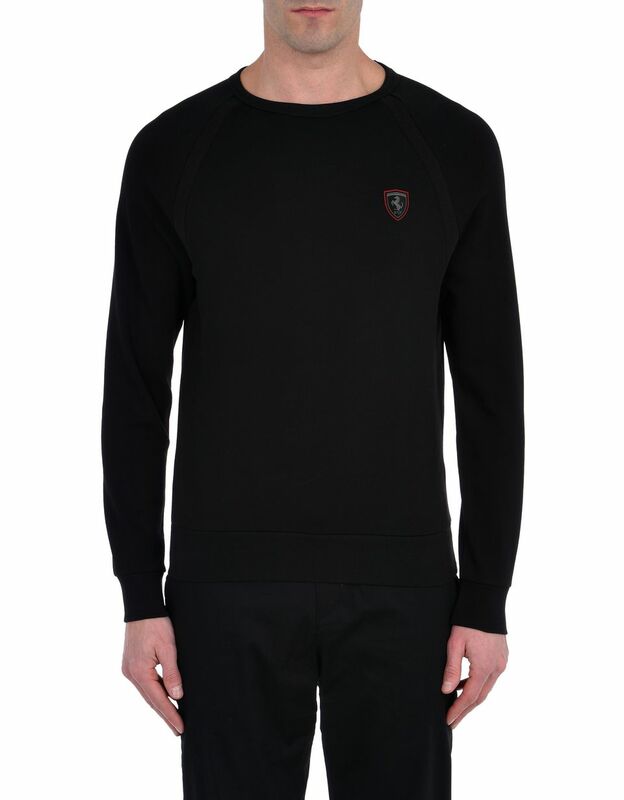 This classic cotton crewneck sweatshirt is updated with the knit detailing that trims the edges of the body, on both the front and the back. 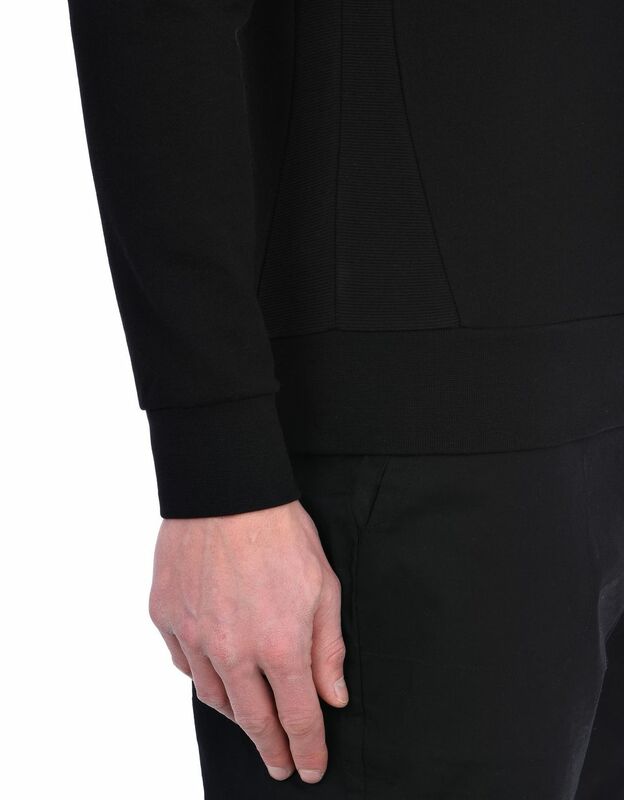 Subtle black inserts in tricot knit outline the silhouette creating an interesting contrast between fabric. 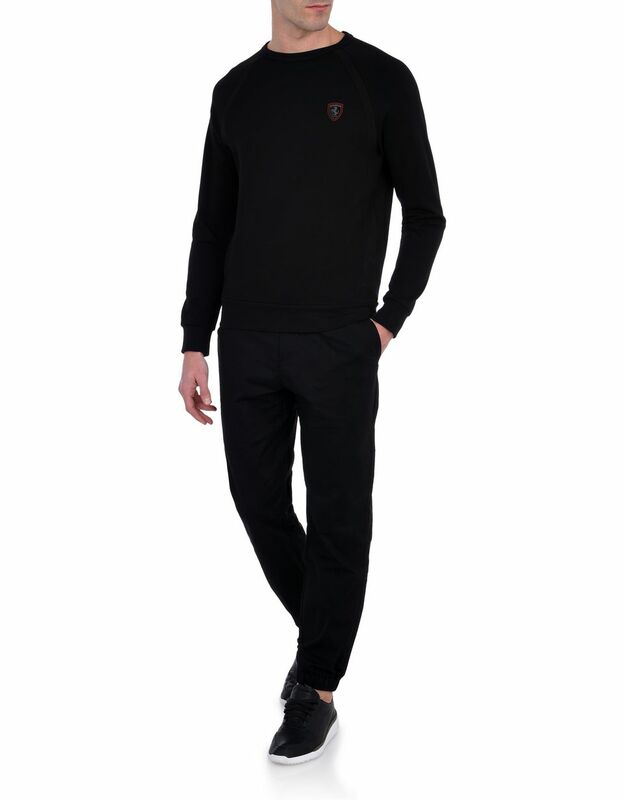 Versatile and extremely comfortable, this Scuderia Ferrari long-sleeve sweatshirt with a slim fit can be paired with jeans or sweatpants for a total casual look, perfect even in the city. The unmistakable Ferrari Shield with red outline lends a distinctive touch to this cotton sweatshirt, a true passe-partout for the new season.